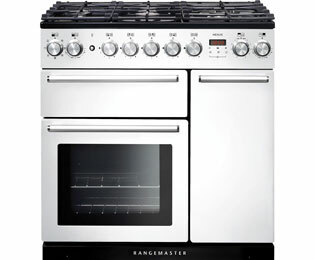 Ample cooking space. 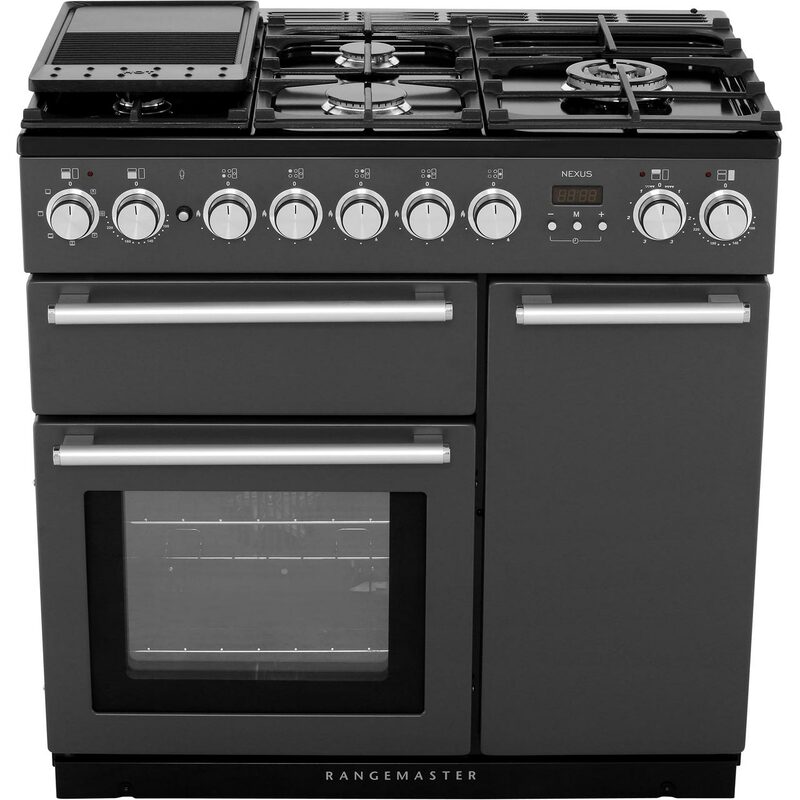 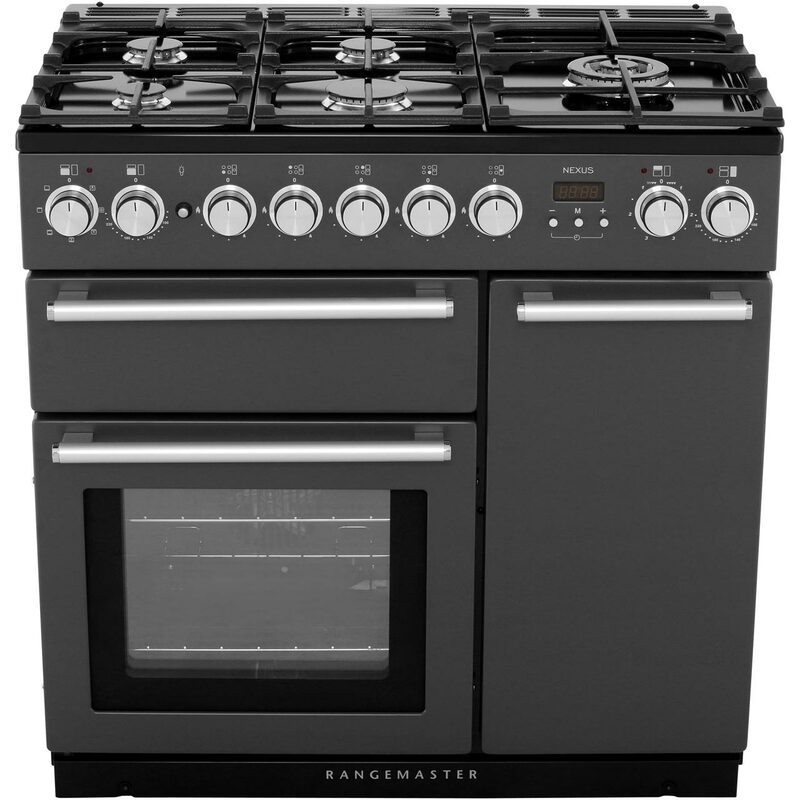 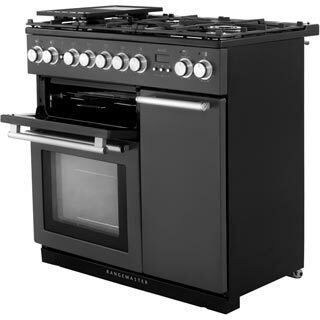 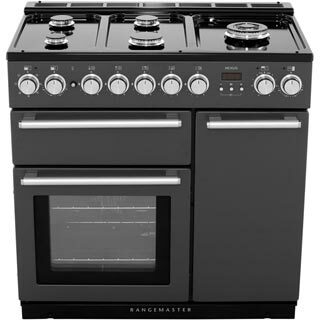 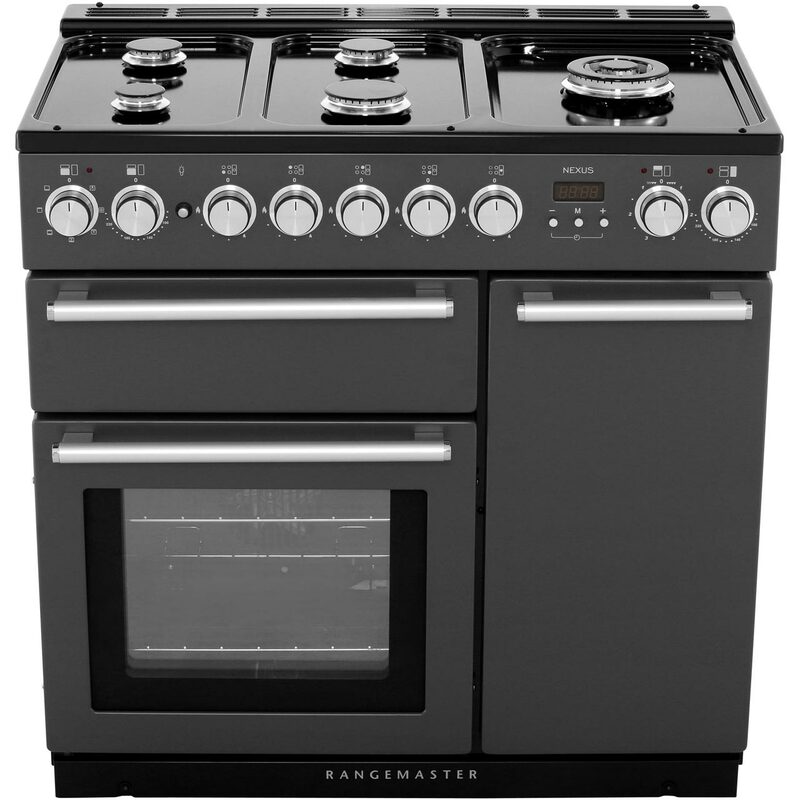 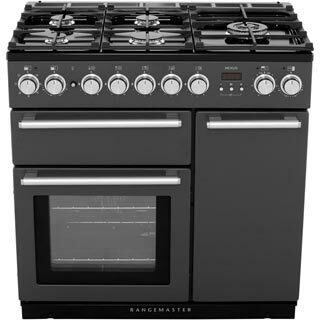 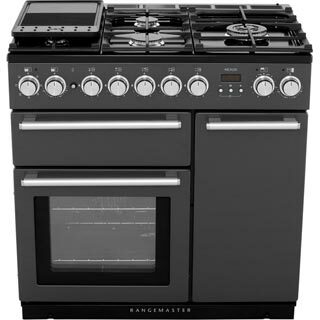 Spend your time in the kitchen wisely thanks to the Rangemaster NEX90DFFWH dual fuel range cooker in white. 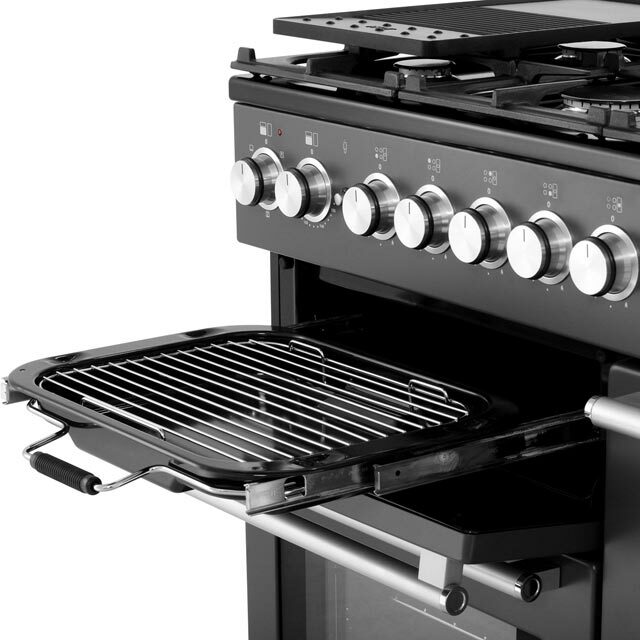 This stylish contemporary appliance meets all of your culinary requirements. 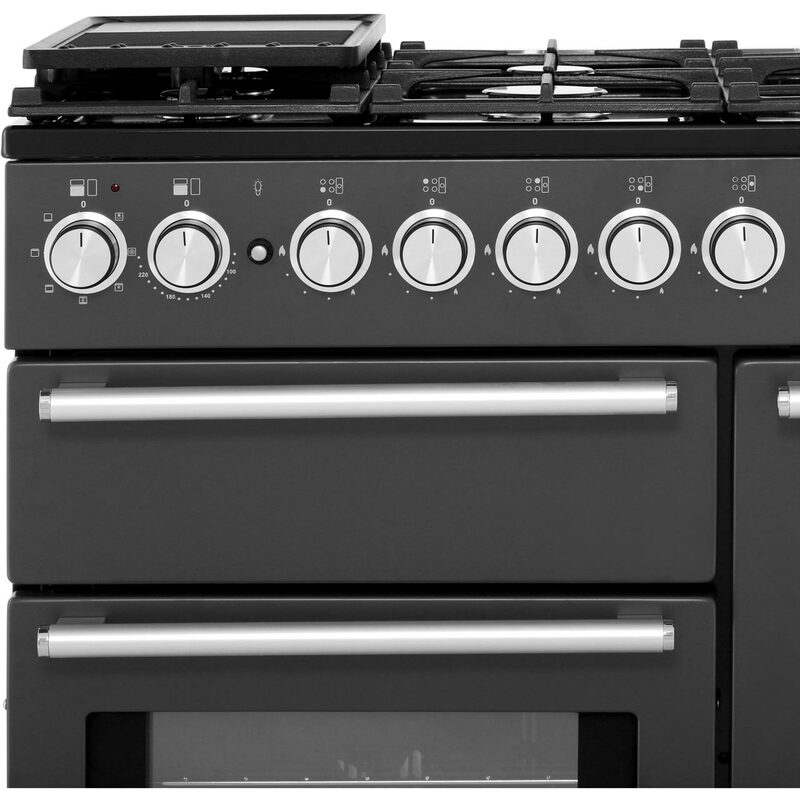 With 2 ovens and a spacious hob featuring 5 automatic zones, flexible cooking for all the family is made easy. 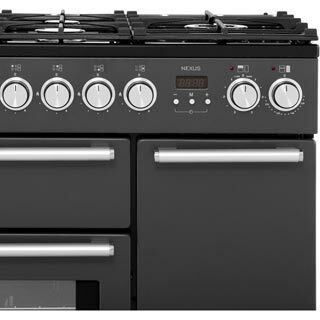 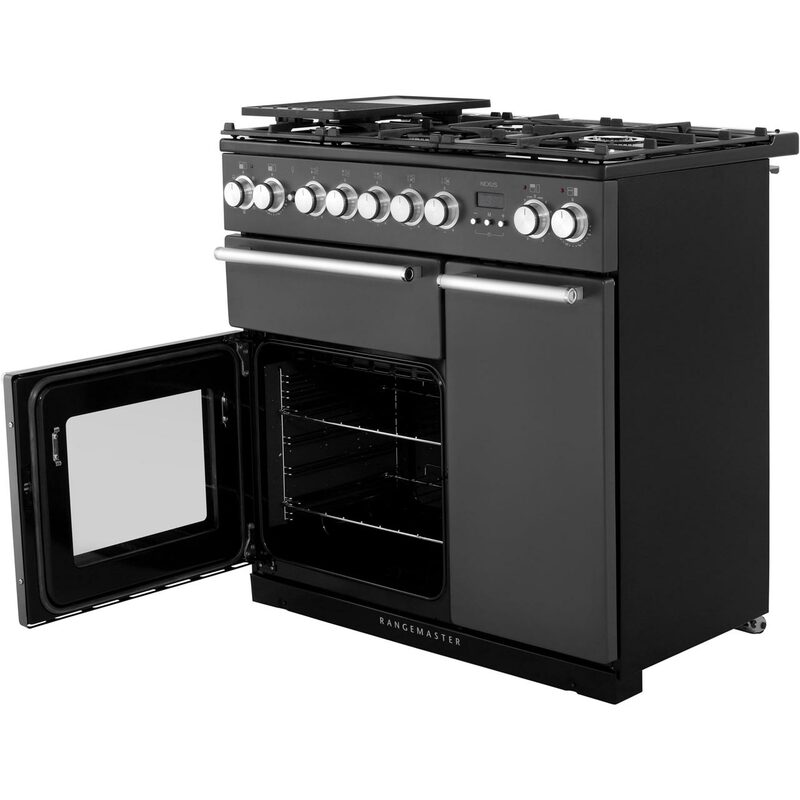 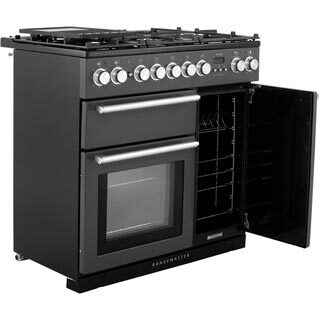 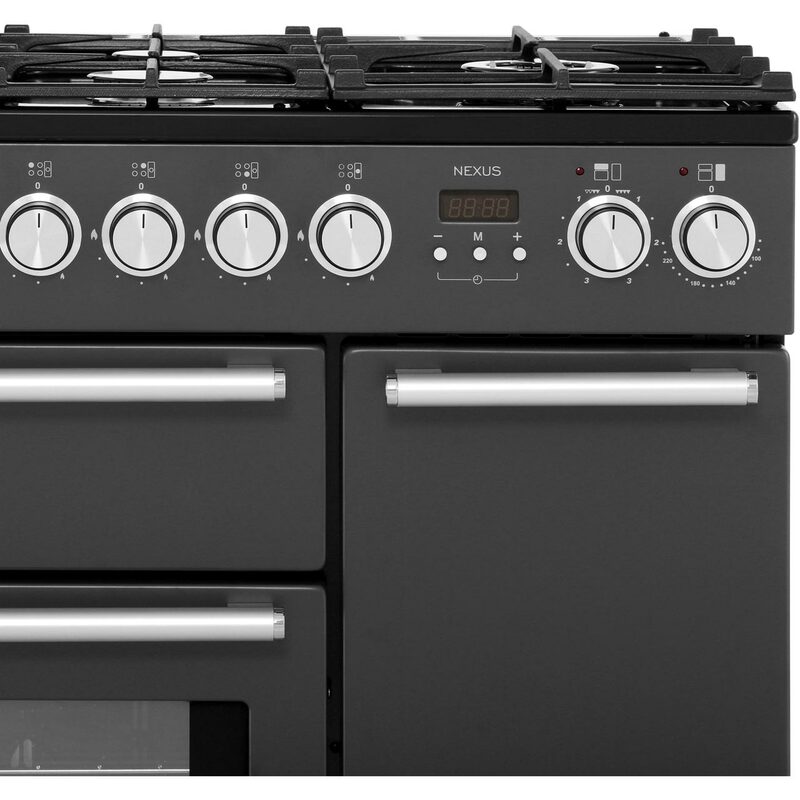 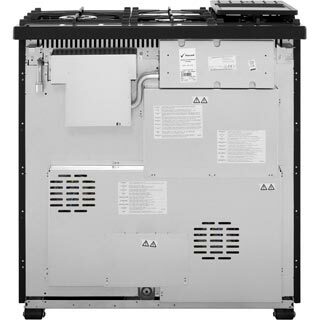 The main multifunctional oven cavity holds 69 litres and has an amazing 7 cooking functions. 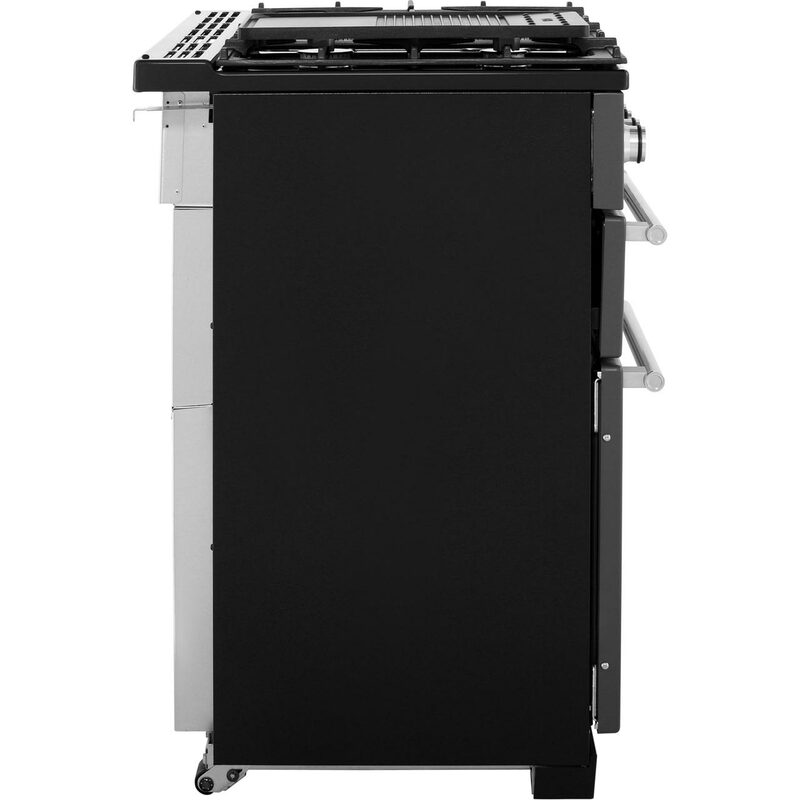 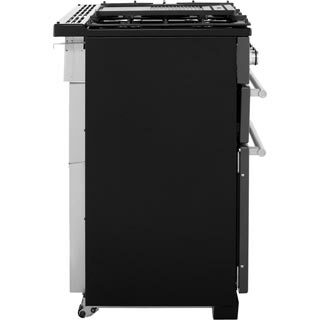 The second fan oven cavity has enough space to hold 66 litres - great for pizzas or joints of meat. Plus, it’s easy to maintain thanks to the catalytic liners which catch any drips and spills to make the cleaning process even easier.